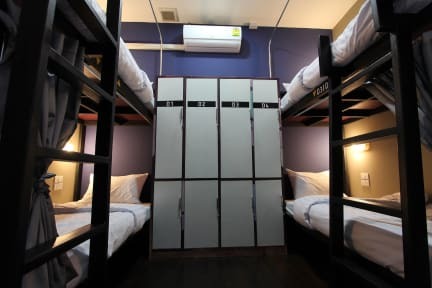 D-Well Hostel v Chiang Mai, Thajsko: Zarezervujte nyní! A Homey stay, Socializing, Well facilitated, Clean, Safe and Warm welcoming hostel. 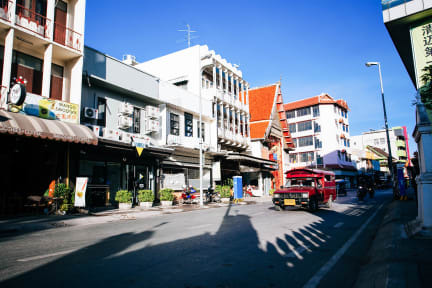 Located inside the Old City area of Chiang Mai, surrounded by 'Chiang Mai Night Market' (7 minutes walk), 'Warorot' the biggest Day Market (6 minutes walk), 'Sunday Night Market' (8 minutes walk). 'A MUST place to stay during festivals in Chaing Mai'. Easily to find transportation and get picked from place to place. We are looking forward to provide: traveling tips, recommend places to see, activities in Chiang Mai and of course a great Hospitality during your stay with us. Our reception is 24/7 available, just head to the front desk to our Staff. We recently awarded by Hostelworld HOSCAR 2018 for 'The Most Popular Hostel in Chiang Mai'. Check in time from: 3.00 PM. On site Cafe': 7.00 AM. - 11.00 PM.